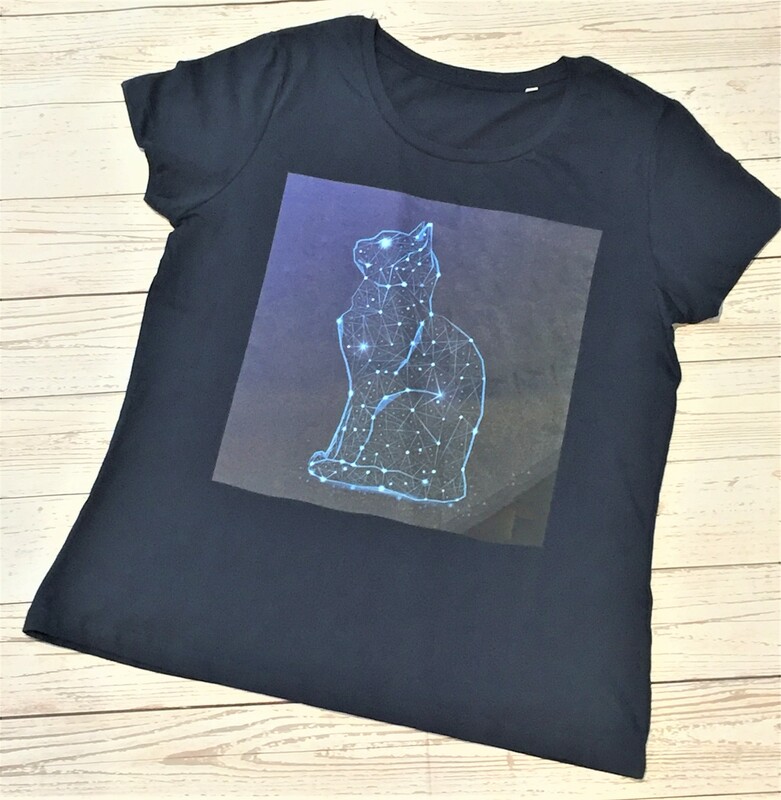 Our exclusive t shirt with exclusive cat constellation design is made of 100% organic cotton. Found in the January 2018 You're Out of This World box. ONLY AVAILABLE IN A SIZE LARGE.